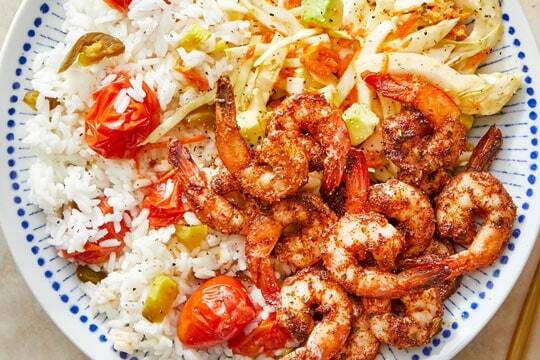 Blue Apron is the meal delivery service that provides their clients with chef-designed recipes that include quick one-pan dinners, top-rated favorites, and delicious Mediterranean dishes. These meals are delivered in an insulated box where the freshness of all their ingredients is guaranteed. Delivery Area: All locations in the continental United States. On the other hand, we have Sun Basket which is also an excellent meal delivery service that offers non-GMO and organic ingredients. They always make sure that their ingredients are always fresh and of the best quality and that their top chefs prepare tasty dishes. They deliver the food to your home once a week. Delivery Area: 47 states in the continental U.S.
Why do you even use a meal delivery service? Well to have quality meals every day of course! That’s why the first thing we are going to review is the meal options both companies offer. Blue Apron has a more “standard” approach to their offer: most of their meals are all-time classics that could be found in kitchens across the globe. They offer 6 meal options for their customers, which are easy to cook and are perfect for people who accustomed to eating their food on the go. Sun Basket operates a bit differently: they have an impressive offering of 18 different meals every week if you opt for their Classic Meal Pack. Also, their offering is a lot more diverse and exotic than their competition’s offering – this actually what separates them from the competitors on the meal delivery market. So if you ever wanted to try something like, let’s say Moroccan lamb, this is your service. All of these meals also have some unique spices and flavors, so you won’t be able to try something like anywhere. Good and fresh ingredients are not just a part of Blue Apron’s business model, as the company puts it, they are a part of the effort to “build a better food system.” The people behind Blue Apron have partnered with numerous sustainable food suppliers to ensure that their customer receives only the best ingredients possible. This includes hormone-free meats and non-GMO vegetables. Sun Basket operates in a similar way, however the company takes this philosophy a step further. Their vision is closely focused on three core values: tasty meals, clean eating, and most importantly, sustainability. And Sun Basket also has a recommendation from the Sea Watch – the famous sustainable advisory list for seafood. They have also worked hard to ensure that all of their meals are 99% certified organic – plus – Sun Basket has a strict non-GMO company policy. Finally, if you have any more concerns about their food, you should know that Sun Basket includes only organic dairy products in their meals and that the meat they send outcomes from grass-fed cattle. In every industry, you have low- and high-quality companies, and of course, meal delivery is no different. So, what you need to realize is that both of these companies are top-tiers in the industry, meaning that products from Blue Apron and Sun Basket are always top notch. All of the ingredients packed by Sun Basket are sustainably sourced and/or organic. And the company is willing to stand behind this statement. If you visit their official website, you can easily see that they have a certificate that promises that all of their ingredients are top-shelf only. On the other hand, Blue Apron’s official website states that all of the meats featured in their meals contain no added hormones or steroids. The vegetables they offer are always fresh and in places where available, organic. So in this category, we cannot really pick a winner, since both companies offer highly-nutritional meals, condiments, and beverages. Sun Basket offers a high variety of recipes. Naturally, from their eighteen recipes a week, you are bound to find something that suits your preferences or standards. While we are talking about dietary preferences, Sun Basket offers anything from vegan to paleo and Mediterranean. This meal service will try to bring something healthy and of high nutritional value. When it comes to Blue Apron, their recipes are more traditional. However, those recipes are done somewhat differently than you could imagine. You should try and see what can result from traditional dishes done with an unusual approach. We will award a win in this category to the Sun Basket. Their diversity surely wins over the traditional meals of Blue Apron. Blue Apron is the meal delivery service who always pay attention to convenience, good organization and best delivery of their delicious recipes. 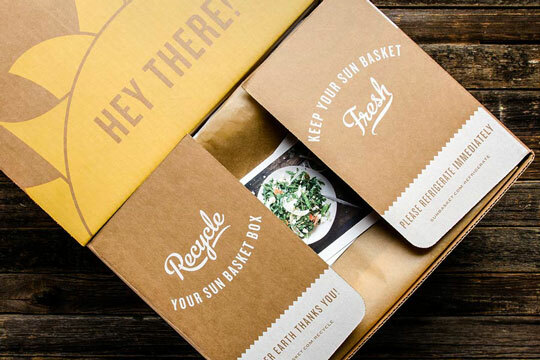 They deliver meal boxes that are insulated and at the same time eco-friendly. Also, your ingredients will be fresh when they arrive at your doorstep thanks to the package that includes ice packs. This fantastic company delivers nationwide to the contiguous United States. The great thing about their packaging is that it is environmentally friendly, and the ice packs are reusable which means you can safely use them again. When you open the package, you will notice recipe cards which also includes information on how to properly prepare and store the food. This company charge the shipping $6.99 and deliver their food to 47 States in Continental U.S., except some parts of New Mexico, Hawaii, Montana, and Alaska. Switching plans – This meal delivery service will let you switch or change your meal plans up for the next week. Cancellation – If your order is shown as ‘’shipped’’ or ‘’order processed’’ you cannot cancel it. But, if you do that on time, you can skip the delivery or cancel it. Refunds – Blue Apron offers their clients full or partial refund if you are not satisfied with food that you ordered. Gift – The Company might offer gift cards from time to time. Free Trial – From time to time, this meal delivery service may also provide specific subscription or free trials. 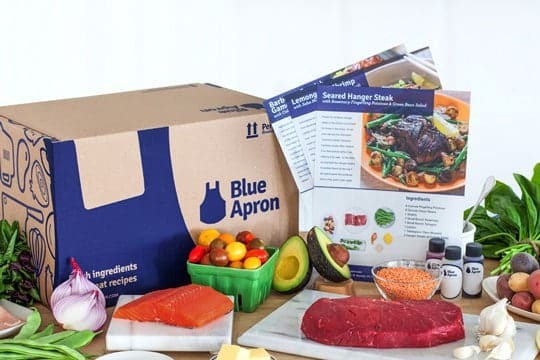 Customizable – Blue Apron thinks about their customers as it allows them to pick which ingredients they want more of, which they want to change and which they want to avoid. Switching plans – Sun Basket allows their clients to change meal plans if they don’t like what is on the weekly menu. Cancellation –It also allows its customers to skip or cancel an order at any time. But bear in mind that it is not already ‘’confirmed’’. Refunds – The Sun Basket will offer you a full refund if you are not happy with the food you ordered. Gift – From time to time, you may receive rewards, promotional gift cards credits and vouchers. Free Trial – Sometimes, this company may provide their customers with free trials. Customizable – As we already said, this company is very flexible. You can quickly register, pick a different meal plan, specify your dietary preferences, and change the method of your payment. Now that we covered everything important, it’s time to make a final choice. We should start this by saying that Blue Apron is a great choice for people that haven’t used meal delivery services before. The company has a good offering of food at a great price. What’s more, you don’t have to do almost any customizations in order to get your subscription started. The company will also grow more in the next couple of years, so they may expand their offer during that time. That means that you probably won’t have to worry about getting tired of their meals after a year or so. However, when it comes to overall quality, we simply have to go with Sun Basket. And don’t worry, the company is user-friendly for both inexperienced cooks and more seasoned kitchen vets. Their meals, although somewhat unorthodox for your average Joe is pretty easy to prepare and don’t require more than 30 to 40 minutes in the kitchen. 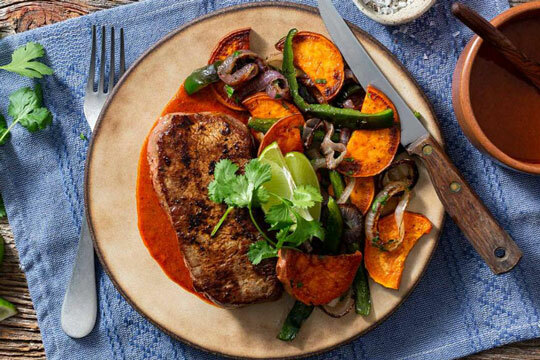 Their meals have unique flavors so if your main goal is not to save time on meal prep, but to eat interesting and exciting meals on a daily basis, you should pick Sun Basket as your meal service of choice.